It has been a while since I shared progress on my new garden. So much is been accomplished, while there is so much that still needs to be completed. Today, I want to celebrate the successes. First off, with the help of friends and my wonderful husband, I was able to dig up my old garden and transfer it to the new yard. Everything except a small flower bed was removed. 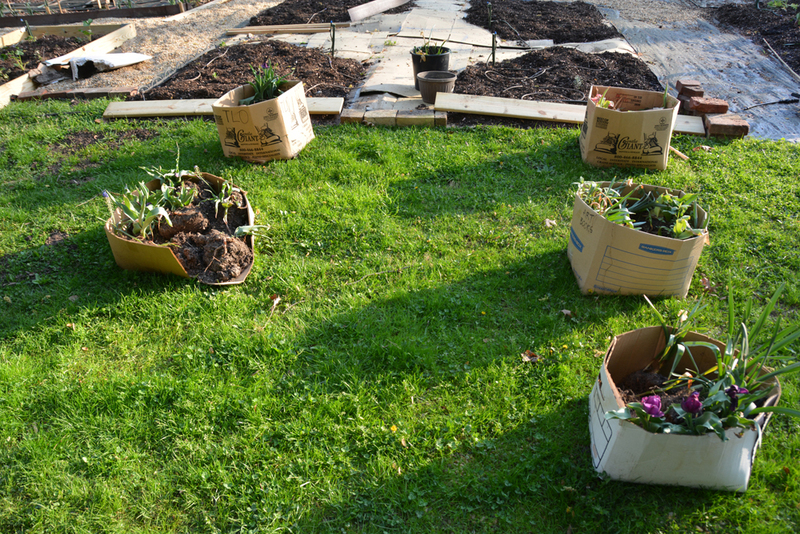 All the plants ended up in boxes in our front yard waiting to be transplanted. And then they got moved to the backyard to also wait to be transplanted. Last week I emptied the last box! Yay! (12) roses, all but three are thriving and even these look like they will survive. I also owe great thanks to my husband, who completed the Herculean feat of getting all the pea gravel transferred during a long weekend in March. 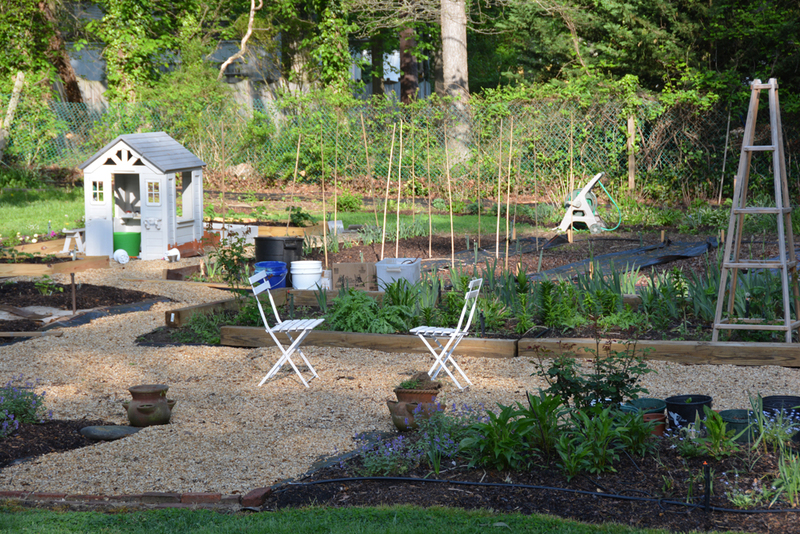 Now all the big components of my old garden are moved over, and I have been busy getting everything set up and ready for the growing season. In early April the holly hedge was pruned back to allow more sun to hit the south facing flower bed I wanted to install. With the generosity of a neighbor this bed received a dense layer of leaf mulch, and now I am in the process of adding another layer of compost. I am planning on turning this bed into my dahlia border. It still needs some more attention before I can plant the dahlia tubers. However in my eyes, even being only halfway there, it looks beautiful! This area of the garden is going to be my densely planted annuals, like zinnias, cosmos, sunflowers, gaillardia, and nicotiana. This first row is going to be Naomi's garden, where she chooses what is going to be planted. And this is how I prepped the bed to help supress any existing weed seeds and give her a good growning foundaion. 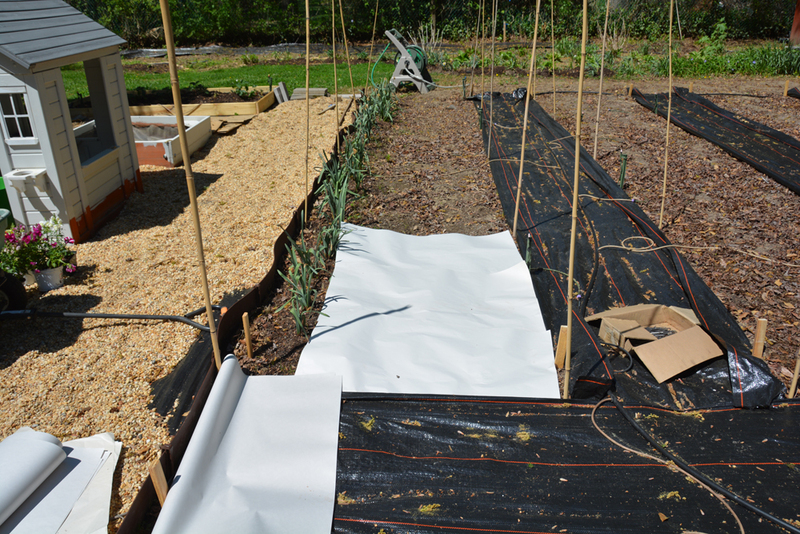 Four sheets of clean and blank newsprint/packing paper were placed on the ground... and then a 2-3 inch layer of compost was placed on top, workind down the bed with my dependable garden wagon with a dumping feature. 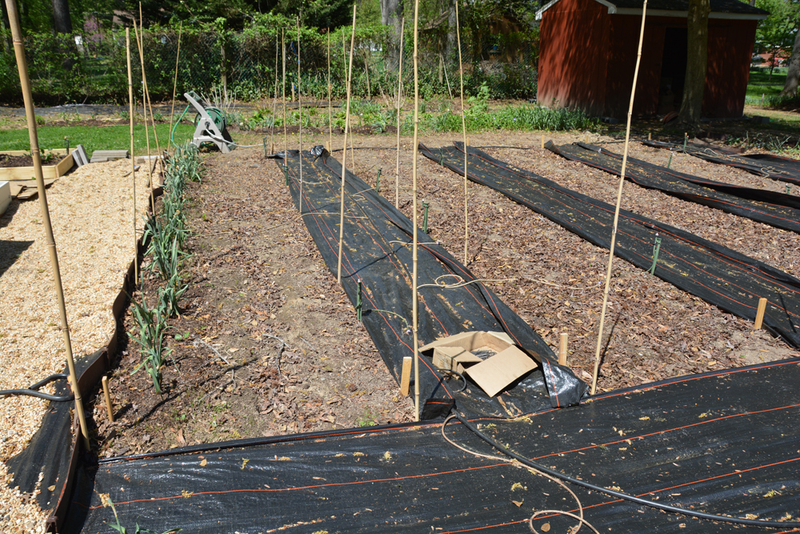 And this is how it looked when the row was all covered with compost. Here are the flats of seedlings I began, a bunch of items have already germinated and I will need to act fast in preparing the other four rows before my seedlings get to leggy. A view of how the garden looks now. I will be making more obelisks for the climbing roses I have in the garden, and several other things that need attention. 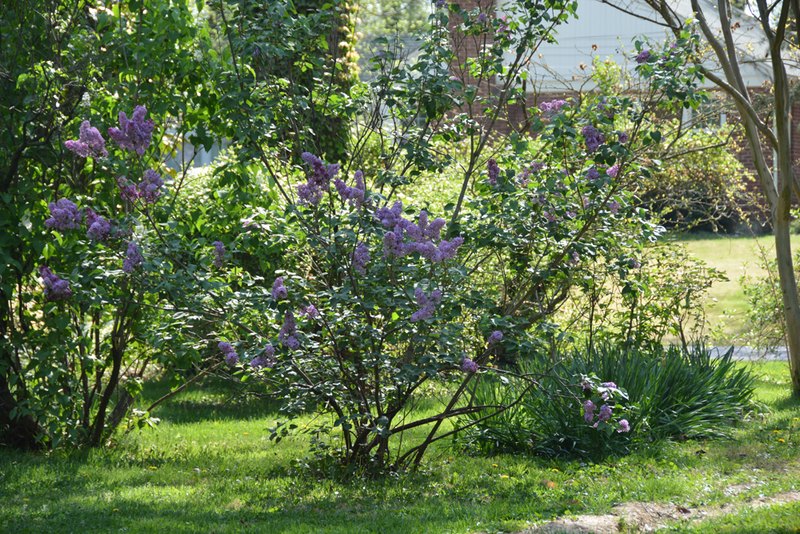 Here is a view of the lilac that came with the yard and a small bed filled with a bunch of delights. A very established peony, some irises, day lilies, and two Gallica Roses, I think "La Belle Sultaine". So much to do, and so happy to be in the new garden.